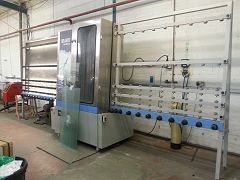 Atlantic 1.6m four brush glass washer, Right to Left direction, manual infeed, motorised outfeed, low E brushes. 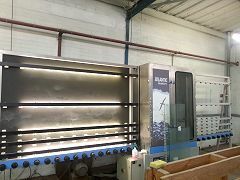 Machine shown prior to refurbishment. Price includes delivery, installation and warranty.